Call (509) 783-5600 or come in to one of our offices in Kennewick, Pasco, & Yakima for Foremost Insurance Quotes in Washington. 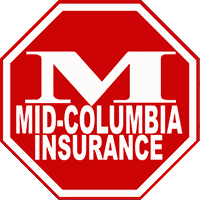 We are proud to represent Foremost Insurance Agent in Washington. Foremost is known as the premier provider of specialized insurance for mobile homes and manufactured homes. No matter if your home is new or old, paid for or not, we can help you understand the coverages available and provide you with the coverage you want at a price you can afford. Call (509) 783-5600 or come in to one of our offices in Kennewick, Pasco, or Yakima for a Foremost Mobile Home Insurance Quote in Washington. Foremost Insurance offers specialized policies for all types of motor homes, travel trailers, and fifth-wheels. Foremost can insure Class A, B and C motor homes, and all types of personal-use RVs including luxury motor coaches and vintage motor homes. Coverage also available for motor homes used as full-time residences. Foremost can insure all conventional travel trailers including camping trailers, truck-mounted trailers and fifth-wheels. Coverage also available for stationary travel trailers and utility trailers designed to haul motorcycles, ATVs and other toys or animals. Foremost’s personal watercraft program is for watercraft carrying one, two, three or more people that can be stood on or straddled. Personal Watercraft are often referred to by their brand names such as Jet Ski®, Wave Runner® or Sea Doo®. Foremost Insurance is a member of the Farmers Insurance Group and Zurich N.A. Founded in 1872, Zurich is headquartered in Zurich, Switzerland and operates in more than 170 countries. We represent the Foremost Insurance Group of Companies, national insurers recognized and known for insuring auto, home, manufactured and mobile homes, motor homes, travel trailers, fifth-wheels, motorcycles, off-road vehicles, snowmobiles, boats, personal watercraft, collectible automobiles and commercial small business. Foremost also has a specialty dwelling insurance program in many states for site-built homes that don’t qualify for “standard” or “preferred” coverage. Foremost has been in business since 1952 and has a superior combination of coverage and claim service.